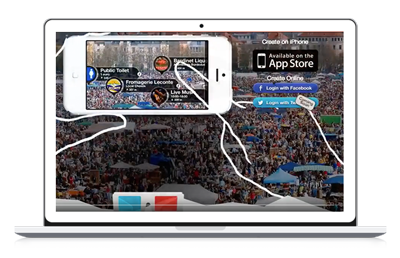 Social Stream - A mobile social media application developed for Apple iOS users. The application allows people to login to multiple social networks at the same time, using the one application. Social Stream provides the ability to receive and send social media posts/messages (just as a user would on the individual social networks) without the requirement of opening and interfacing with multiple social media platforms. “Yurn.it” - An e-commerce website interlaced with social and competitive elements. Via a series of rolling competitions, users were encouraged to identify and upload consumer items to the yurn.it website in an effort to improve engagement and interaction with the site's community of users. The website acted as a aggregator of some of the world's top fashion websites, categorising and identifying the best deals and sale items for the savvy shopper looking for heavily reduced designer fashion. Advertise World helped bloggers and small businesses monetise their websites through a frictionless self service advertising platform. At it's peak, Advertise World was serving around 200 million ad impressions per month to a worldwide audience of publisher websites. UberCPM was built around the idea that advertising had become too complex. We simplified the entire process to deliver the easiest cpm advertising network experience available. UberCPM served over 6,500 publishers and close to 100 million impressions per month during it's busiest periods. Rdrct.it - A universal URL generator for app developers. Creating a single web address that directs users to the correct app-store depending on the current device they are using. App developers can also track statistics with their custom rdrct.it URL link that displayed information regarding which specific device had clicked on the link, allowing for easy market research and future product development support. Squizzd - A smartphone application that allows users to create an Augmented Reality (AR) map to share with friends or the general public. Maps included local attractions, tourist spots or something as specific as temporary locations at a specific event/show. 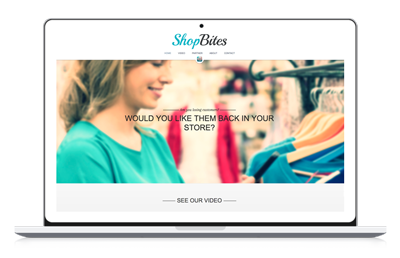 ShopBites - A smartphone application and system designed to drive foot traffic into participating stores. Registered shoppers are targeted (using geo-location technology) and encouraged to visit partner stores to undertake certain actions using their smartphone (such as scanning in-store QR codes or product barcodes) and in doing so, allowing them to earn points called ‘bites’. Bites are then redeemed for a range of rewards, including digital gift vouchers, credits for third-party applications and physical goods, all within the smartphone application. Daily Bird - An online magazine offering readers the latest in style, celebrity beauty news and entertainment. Boating Buddies - A revolutionary geo-sharing application that lets Facebook users broadcast their boating location to friends and family. Developed for the Apple iOS platform, the application tracks a user's GPS coordinates at all times (even when the application was not in use), but only whilst the user was positioned on/over water. Tree Trauma - A mobile game in which the player acts as a topiarist who, using a variety of tools, trims trees into shapes as set by topiary judges. Built for the Apple iOS platform, targeting a audience of children ages between 7 and 12 years of age.